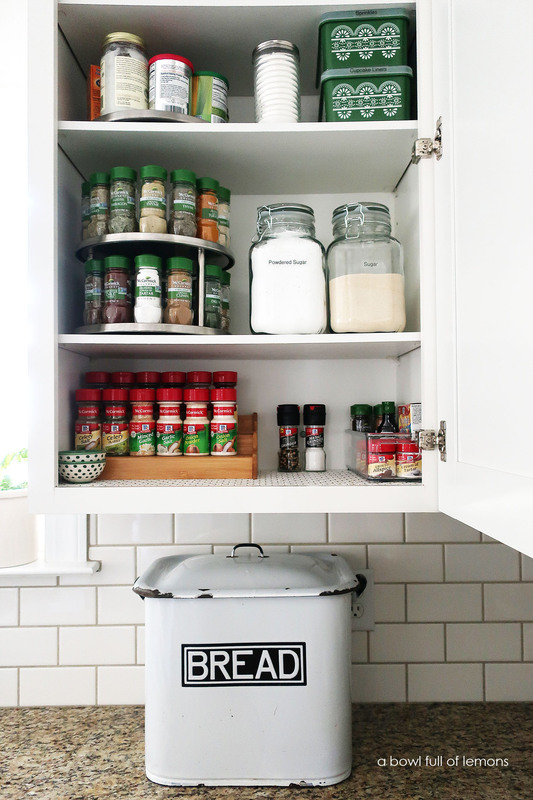 Last weekend, I took you on a tour of my springtime spice cabinet organization. Today I want to finish off the topic with these 5 tips, to help you get the most out of your spices. 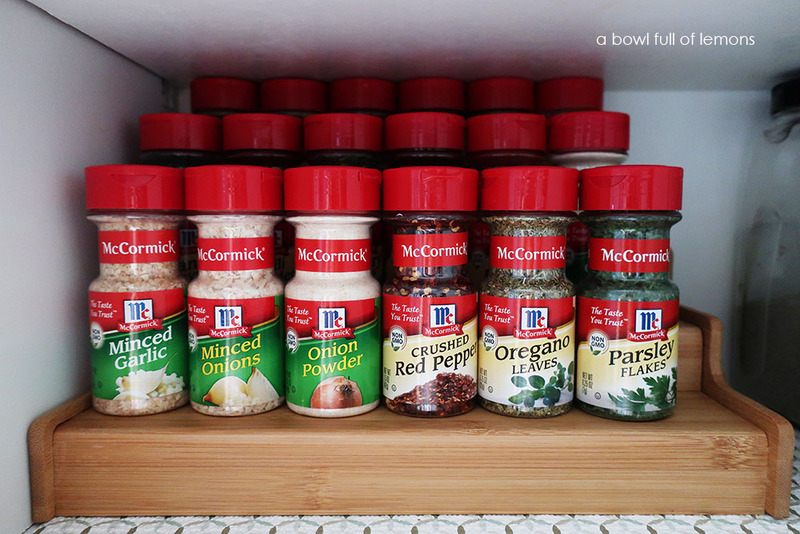 With the help of McCormick spices, I was able to create this beautiful spice cabinet. Now I’m ready to test some new recipes and experiment with different spices. Clean out your spice cabinet twice a year. Daylight Savings Time is a perfect reminder. This will ensure that you’ll always have fresh spices on hand to create delicious meals at home. 2. 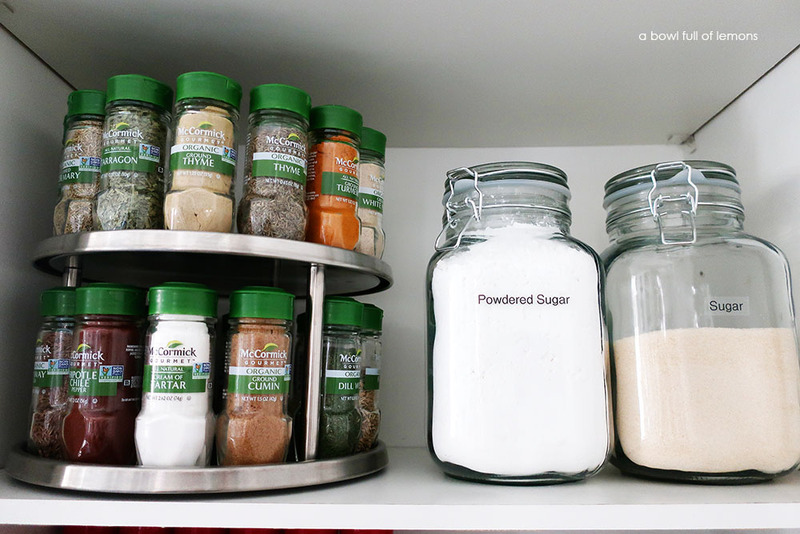 Display your spice collection on a tiered rack (or lazy Susan), for a more organized & uniform look. Keep your core favorites front and center, but make sure to rotate the less often used spices to the front every now and again to maximize flavor throughout the year. 3. After selecting your ‘front favorites’ alphabetize the rest of your spices to ensure easy discoverability when prepping for new recipes. Also, store baking spices separately, so they’ll be easy to find when you need them. 4. Label “best used by” dates on the bottom of your spice jars, for ease of checking. You can also test spices for freshness using these three tips. Replace old spices to maximize flavor for everyday cooking. Sight:Check that the colors of your spices & herbs are bright & vibrant. If the color has faded, so has the flavor. Aroma:Rub or crush the spice or herb in your hand. If the aroma is weak, it is time to replace it. Taste:Give the herb or spice a taste test. If it lacks flavor, it is past its prime. 5. To extend the life of your spices, store them away from extreme heat, moisture, and direct sunlight. Also keep in mind that each spice has a different shelf life. Below are some general guidelines. McCormick Spices maximizes the flavor of meals. Build a ‘spice space’ nurtured to your personal needs and goals. Be creative and enjoy cooking. It’s an easy way to show your family how much they mean to you. Incorporating spices into your everyday dishes is the perfect way to ensure a flavorful and enjoyable meal for the whole family. 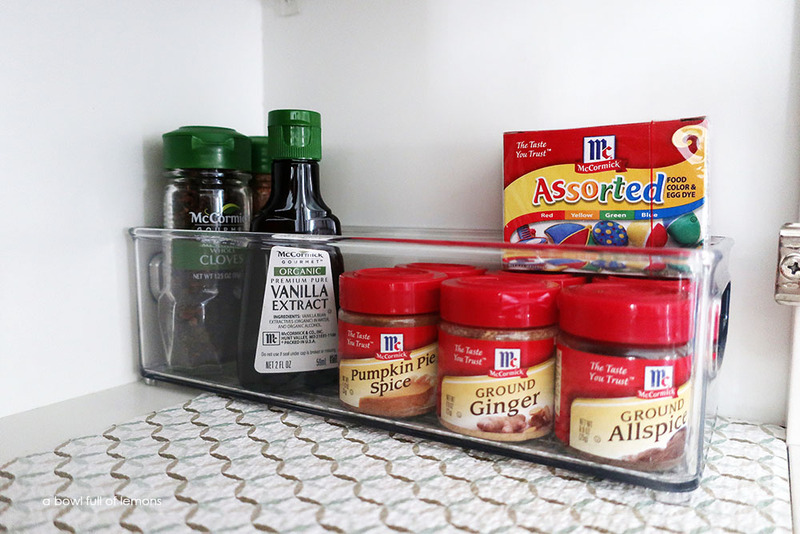 Get creative and organize your spices to fit your personal tastes and flavor goals! 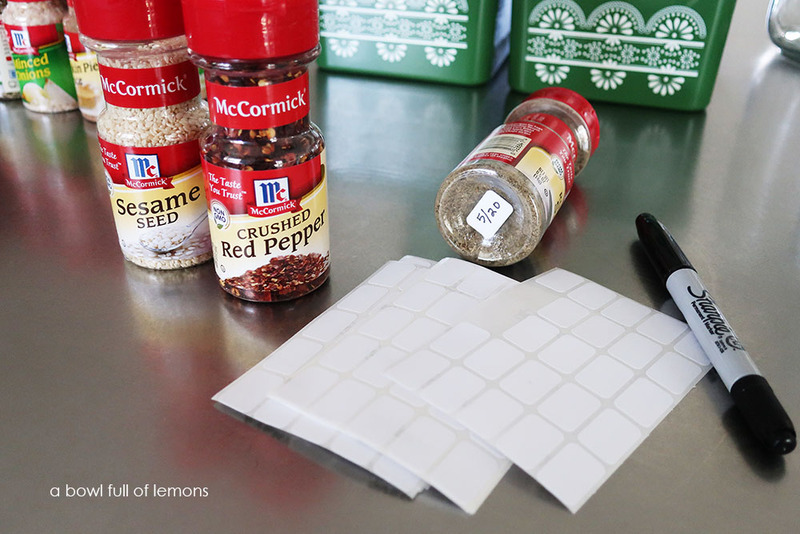 Disclaimer: I partnered with McCormick to create this content for you. All opinions are my own & I only recommend products or services I use personally and believe my readers will enjoy. I am disclosing this in accordance with the Federal Trade Commission’s 16 CFR, Part 255: “Guides Concerning the Use of Endorsements and Testimonials in Advertising. Please click here for full disclaimer.